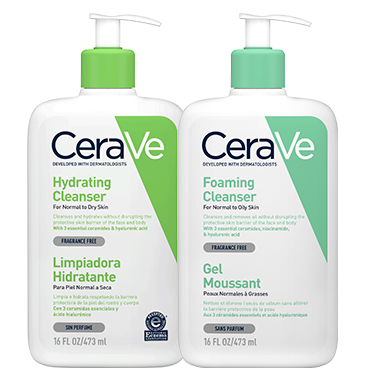 Thank you for accessing this https://www.cerave.hk (the "Website"). Please read these terms and conditions (the "Terms") before using the Website which is operated by L’Oréal Hong Kong Limited of 35/F., Sun Hung Kai Centre, 30 Harbour Road, Wan Chai, Hong Kong ("L’Oréal "). By using the Website, you signify your acceptance of the Terms in consideration of which L’Oréal provides you with access. From time to time L’Oréal may modify the Terms. Accordingly, please continue to review the Terms whenever accessing or using the Website. Your use of the website following any such change constitutes your agreement to follow and be bound by the terms as changed. If at any time you do not wish to accept the Terms, you may not use the Website. The Website, including text, content, software, video, music, sound, graphics, photographs, illustrations, artwork, photographs, names, logos, trademarks, service marks and other material ("Content") is protected by copyrights, trade marks and/or other proprietary rights. The Content includes both content owned or controlled by L’Oréal and content owned or controlled by third parties and licensed to L’Oréal. All individual articles, reports, and other elements making up the Website may be copyright works. You agree to abide by all additional copyright notices or restrictions contained in the Website. The Website and the Content are provided "as is" excluding any warranties of any kind, either express or implied, to the fullest extent permissible pursuant to applicable law including the exclusion of warranties of title, merchantability, satisfactory quality, fitness for a particular purpose and non-infringement of proprietary or third party rights. L’Oréal further accepts no responsibility or liability for functions contained on the Website and makes no warranties that the Website will operate uninterrupted or error-free or that defects will be corrected. Please note that some jurisdictions do not allow the exclusion of implied warranties, so some or all of the above exclusions may not apply to you. (e) any misrepresentation or breach of representation or warranty made by you contained herein. Nothing in this Agreement is intended to confer on any third party (whether referred to in this Agreement by name, class, description or otherwise) any benefit or any right (under the Contracts (Rights of Third Parties) Ordinance or otherwise) to enforce any provision of this Agreement or any agreement entered into in connection with it. The Terms are governed by the laws of Hong Kong and the parties submit to the exclusive jurisdiction of the courts of Hong Kong. We may make available on this Site a space, powered by Datawords Hong Kong Limited (“Datawords”) dedicated to user content, such as for example text, photos, videos, etc. (“User Content”). 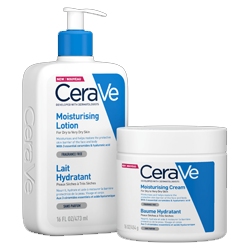 Where you upload User Content to our site, or respond to our request to use User Content you have already posted to social media with #CeraVe you agree to our #CeraVe terms and conditions.